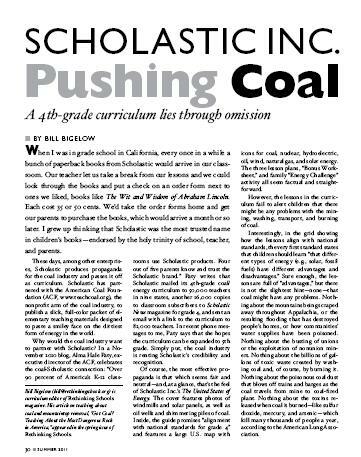 May 16, 2011 Continuing our ‘positive picks’ series on media and marketing that matters, a gigantic ‘Howard Beale’ style shout from the windows “w00t!” to champions of change at CCFC, Campaign for a Commercial Free Childhood who snuffed out the filthy coal curriculum pushed into schools via Scholastic after just 48 hours of harnessing the power of their CCFC aligned communities. 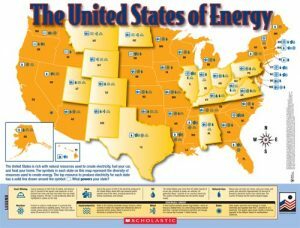 Just two days after CCFC and Rethinking Schools put the word out to allied orgs that “The United States of Energy” 4th grade curriculum was polluted (it was paid for by the American Coal Foundation, see TeachCoal.org!) Scholastic agreed to immediately stop distributing this one-sided pay for play publishing once thousands of emails and some strong media stories (Time, Inc. , NYT article+ NYT opinion here) called attention to the um, smoke and stench. And speaking of the elephant in the classroom…(lookin’ at you, Scholastic) I want to know how many strikes Scholastic gets before they’re OUT? Or did they buy the umpire, too? 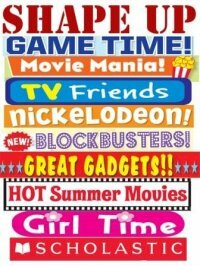 Scholastic has been hand-slapped many, MANY times for these ‘backdoor’ vested interest antics, selling out schools (and kids!) using their privileged position as the world’s largest educational publisher. Anyone remember CCFC’s successful campaign to boot out Bratz books like “Catwalk Cuties” from Scholastic bookfairs so kids don’t have sexualized kidlit to add to the mega-mounds of toy premiums that so often dominate the ‘educational’ offerings? Well, I sure do…And I’ve written about their stealthy tactics to shill for industry sponsored vested interests many times before. They simply cannot have it both ways. 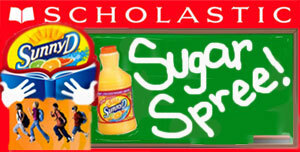 Scholastic’s fall fiasco in schools this past year with Sunny D’s sugar spree swapping free books for labels was my personal “worst” as far as nutritional nightmares meets counter-marketing and commercialism. Hands down. This counter-productive partnership between Scholastic and the 20g of sugary SunnyD (Coke is 27grams/8oz!) complete with artificial flavors, colors, (Yellow #5 & #6 food dyes) just about put me over the top in my desire to storm Washington D.C. and the “Let’s Move” movement to show-n-tell the impact of cruddy policies enabling embedded companies like this to have carte blanche access to kids. FINALLY after achieving the media literacy ‘aha’ moment among students, parents and faculty that “Sunny D is NOT remotely orange juice, do NOT be fooled” …whammo! Here comes Scholastic traipsing in trumpeting the need for kids to collect “SunnyD labels” in exchange for 20 free Scholastic books after they’ve swigged the stuff. Yes, you can feel my slow burn. A candy bar? Maybe. Not always. Anyway, you get my point. Dander up. Scholastic down. Score one for media literacy. CCFC for the win. But again…I ask you…what will it take to lose the halo of this ‘educator’s choice’ type of privileged position that holds so much clout in schools? Desperate for fundraising and fresh classroom materials, faculty is held hostage with faux promises of some sort of ‘vetted’ version of what bookfairs used to be. You know, when Scholastic used to stand for quality that was hand-selected by teachers or ‘preferred picks’ by ALA librarians…Akin to a level of credibility reserved for ‘Caldecott and Newbery Award winners’ featured finds…Let’s all focus on the operative words USED to be. Now school book fairs are just glorified toy stores, ‘on site for parent convenience. Bring your wallet and your guilt. Bleh. To me, Scholastic has abused the privilege of ‘partnering’ with schools so repeatedly and so blatantly that “who’s got the goods” comes to mind, as they’re FAR beyond three strikes by my count. Possibly even in double digits by now. Well it’s about freakin’ time… “Yerrrrrrrrrrrrrrrrrrrrrrrrr out!” Would’ve been my whistle tweet and umpire call long, long ago. “It’s not likely that a book called Harry Potter and the Mountaintop Removal Project would have much appeal to middle-schoolers. And have fun trying to get the pre-K crowd interested in Clifford the Big Red Strip-Mine Operator. Mouse, Inc? Disney Bullies Small & Mighty CCFC From Home? School Sit Ups Sponsored By Soda & Snacks? Kellogg’s Agrees to Restrict Food Marketing to Kids, F’Real? SmartyCard’s Summer Challenge With Scholastic: Heads Up for Fall! “Consuming Kids” Is Now Available For YOU To Host A Screening! Shaping Youth Co-Sponsors “Consuming Kids” Movie Premiere! Hmm i think you are right.CCFC puts some efforts into cleaning up school commercialism.